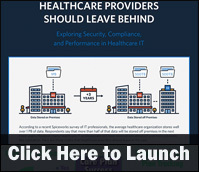 The average healthcare organization stores well over one petabyte of data (1,000,000 gigabytes) leading many organizations to store data off premise, according to a new infographic by CoreSite. The infographic explores some of the myths surrounding off premise data hosting. The systems and services that run the modern healthcare enterprise are increasingly data driven. Electronic medical records, research advances, diagnostic technologies and accounting needs are proliferating at staggering rates, creating significant challenges for the people charged with managing that data, according to a new infographic by Eaton. 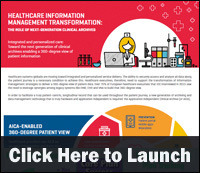 The infographic looks at the sources of healthcare data, the growth of data collected, data storage requirements and how to successfully manage healthcare data centers. Collaborative Health Systems (CHS), the largest sponsor of Medicare Shared Savings ACOs in the United States, manages 24 ACOs, nine of which generated savings of nearly $27 million in 2014. 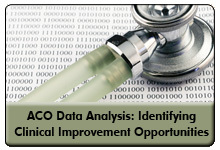 While data analytics and integration is one of the greatest challenges for most accountable care organizations, the capture, analysis and reporting of data is the key to ACO success in improving quality, reducing costs and generating savings. 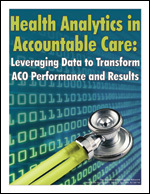 During Data Analytics in Accountable Care: Strategies and Case Studies, a 45-minute webinar on January 27th, now available for replay, Elena Tkachev, director of ACO analytics, Collaborative Health Systems, shares her organization’s experience in using data analytics effectively to improve ACO results. Healthcare data is growing exponentially and so are the benefits and concerns with data storage. The average hospital has 800,000 total records, and 64,000 to 96,000 are duplicates, according to a new infographic from CDW Healthcare. This infographic identifies safe data storage tips, as well as recent growth, trends, benefits and concerns of healthcare data. You may also be interested in this related resource: Electronic Health Record: Standards, Coding Systems, Frameworks, and Infrastructures.